Breathtaking views includes Mt. Hood, Mt. Adams, all the way to the Columbia River from this beautiful home & 40 acres, waterfall SE corner, creek. Well built versatile outbldgs with oversize (3, 592 sq. 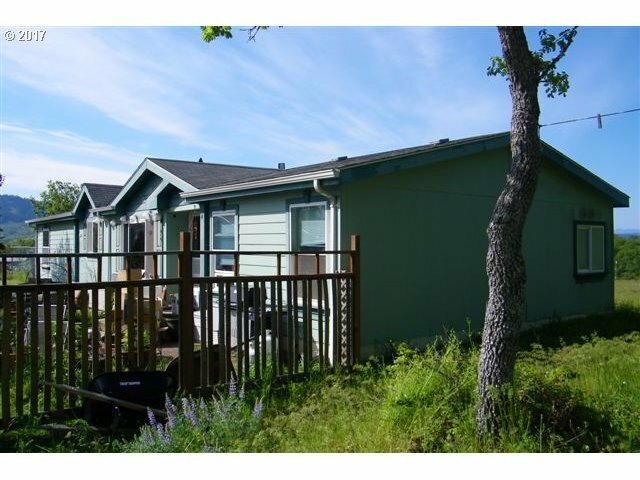 ft.+-) 2 car garage, shop, storage, unfinished guest quarters, wraparound deck. Well log shows 20 GPM. Sustainable living with gravity feed 1, 700 gallon reservoir. Trey ceilings, double propane fireplace, wdstove. $480 AHS home warranty.